With the new year upon us, I thought it would be interesting to hear what other gardeners are planning for 2019. I selected a diverse assortment of gardeners in and around the metro area. These gardeners are not professionals, but people who enjoy their garden and are always trying to make it better. There is, of course, the delight of buying new plants and especially a plant that is new to the garden. In my own garden, I have been continually amazed at the mild weather we have had thus far — mid-January and no hard frost! I still have some fuchsias in bloom, and while they do not look like the robust plants that they do in the summer, they are still flowering and attracting hummingbirds! The sun and shade patterns in my garden have changed dramatically over the last few years. I have plants that were initially planted in the sun that are now partially shaded and vice versa. I will be relocating many of these plants in the next month. I have many pots in my garden and I am always on the lookout for new plants that will give me color for most of the summer. 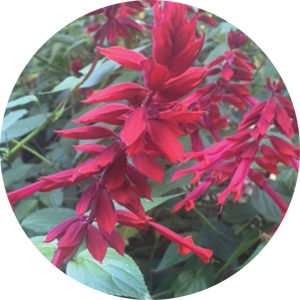 Lately, the genus Salvia has been on my radar and I am always looking for new varieties and cultivars. 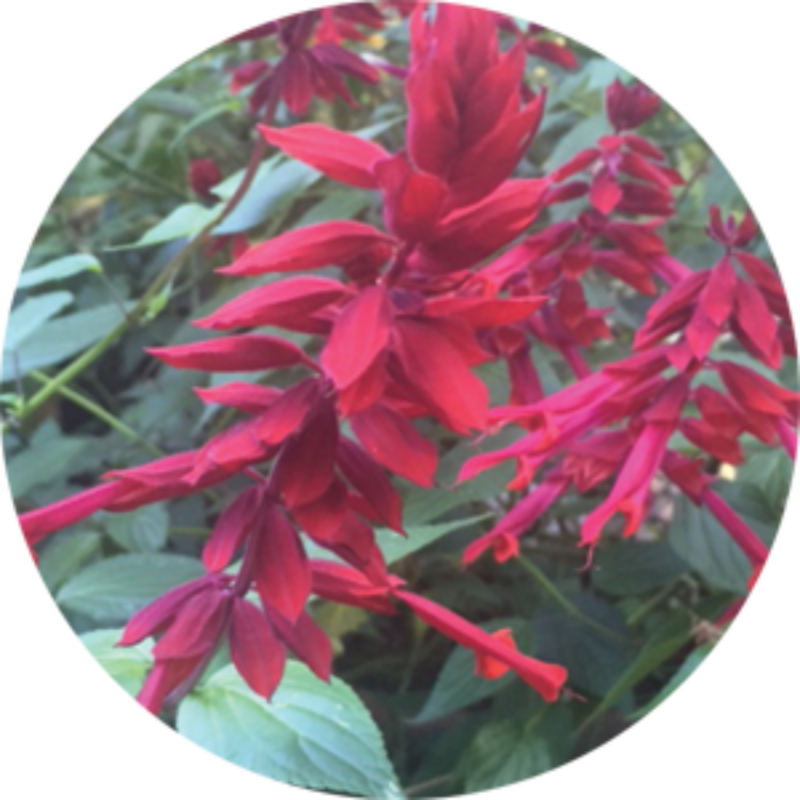 Salvia ‘Saucy Red’ was an outstanding late summer and fall bloomer in my garden this year. “My plan for my garden this year is to tear out my lawn in the parking strip and do a xeriscape garden with rockery. I plan on searching for drought-tolerant plants and incorporating ornamental grasses and native plants. 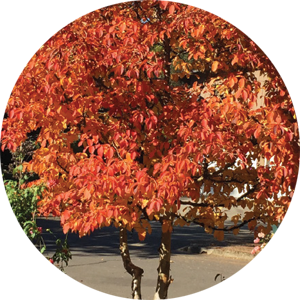 Having diverse interest with foliage and color throughout the year will make it beautiful year-round. “Our normally heavily wooded front garden was somewhat transformed this fall when we had seven fir trees removed and the stumps ground out. Many still remain but these were our seven largest trees closest to the house. This has drastically changed our light situation in the front and gives us many new plant opportunities. “In addition to changing our light situation, we now have a flat open area that needs some structure. Our challenge this spring will be to find ornamental small trees which we can enjoy year-round since our large kitchen window looks out on the front. We have purchased three so far, Styrax japonica ‘Evening Light,’ Lagerstroemia indica ‘Tuscarora’ and Stewartia pseudocamellia. 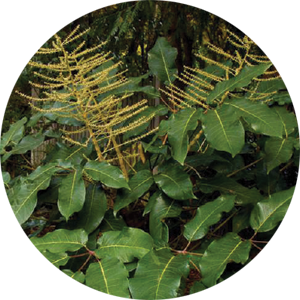 “Much of our prior landscape has been semi-shade to shade loving plants so we will need to rethink a lot of our planting. We are thinking of this as an opportunity to finally have a few sun-loving plants. As we are getting older, we have been slowly transitioning to evergreens, small shrubs and easy perennials that don’t require constant tending. In talking with other gardeners over the holiday season, there is certainly no lack of enthusiasm for the spring and summer garden season. It is difficult to predict what the balance of the winter or early spring season will be, but I am hopeful that we do not have a snowstorm in February!